We humans have an amazing, special and magical ability that we often take for granted. We can think. From quite an early age, most people gain the ability to talk to themselves, and each other. As a result, from when we wake up in the morning until we fall asleep, our mind starts a-chattering. Many do not give this a second thought from one day to the next. While the ability to think is an amazing feat for sentient star dust (i.e. Us) to pull off, it has resulted in the thought forms from our lower mind centres being swamped and overlooked. You will know what I mean if you have ever said, “I wish I’d trusted my gut” or “My heart was never in it”. From an energetic perspective, this ability to think and talk comes about from a level of communication not yet recognised by many, if any, neuroscientists. For starters, not all thoughts emanate from our brain as it is as much a receiver of thought as it is a generator of thought. 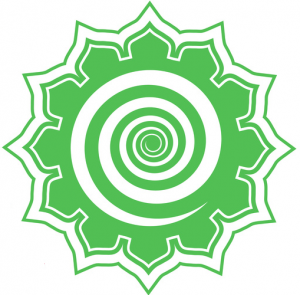 Our seven main internal chakra centres are also communication portals. It is the one right in the centre of our brain, the pineal gland or Third Eye, that picks up many external thought forms. It can be tuned in through the practice of mindfulness meditation. The ability to talk involves intercommunication between this sixth chakra point and the fifth chakra point, the throat chakra. Around 1 to 2 million years ago, humankind got “The Word” and this magical ability of self-talk and language was conferred upon us. We are now on the cusp of the next stage in evolution where we become able to take conscious control of our heart chakra, as well as the chakra centres below. The result of this shift has a few prerequisites and many consequences. What happens when we live heart-fully? Just imagine if each and every day you could wake up and do just what you love to do, with people you love. Think about what is stopping you from doing that right now and imagine if such barriers to doing this could vapourise. Imagine a world where the people you want to be with turn up, just like magic. Whether it’s the perfect clients or business partners or friends or a soulmate you are looking for, imagine if they just found you. If we are worrying about tomorrow, we lose focus on today and our efficiency drops. When we entrust our decisions to our heart and gut minds, we will rarely put a foot wrong. It is both a simpler and a safer way to be. All love starts with self-love. This is not love of a narcissistic kind but one where we love ourselves for who we are, what we do and what we can do for others. It is difficult to ask others to love us if we don’t start by truly loving ourselves. It’s said that the only thing you can take with you is your evolution (and that the only thing you can really leave behind is your art). If the most amazing life is within your grasp, just around the corner, it would be silly not to take that next step – and another and another. There is a version of you in the future who has achieved all your heart’s desires, and more. The only person in the world who might prevent you from being that person in the future is you right now. I have been fortunate to live a charmed life. I have been blessed with many gifts but also experienced many frustrations. 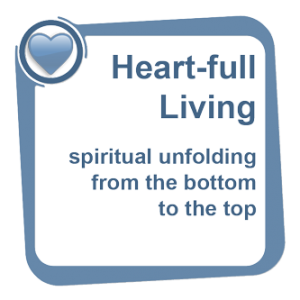 When I switched to living heart-fully, years of turmoil and inner-struggle disappeared and a new world opened up for me. I want to share the secrets of what I have learned with others. Two of the gifts I have received were an engineering mindset and the ability to channel. The former lets me build ‘stuff’ and the latter gives me access to information that I do not know. This is called claircogniscence. Using the principles above, I was nudged into creating a chakra awakening programme that seems to switch people into a new mode of existence and awakens a new level of consciousness. I’ve called it (or had it called for me), Heart-full Living.